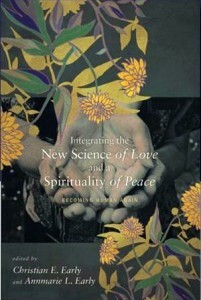 Just in time for Christmas gift-giving, a book titled Integrating the New Science of Love and a Spirituality of Peace: Becoming Human Again has been published by Cascade Books. It draws together presentations given at a hugely popular conference on “attachment” that was held at Eastern Mennonite University in spring 2011. Attracting more than 1,200 attendees, the conference featured renowned researchers and practitioners – including Sue Johnson, the developer of Emotion-Focused Couples Therapy and author of Hold Me Tight; neuroscientist James Coan of the University of Virginia; and psychiatry professor Daniel J. Siegel of the University of California-Los Angeles. Their presenters summarized and interpreted decades of research, with paradigm-shifting implications, as the editors of Integrating the New Science of Love and a Spirituality of Peace observe in the book’s introduction and conclusion. “The confirmation of attachment theory puts us in a position to say that we are fundamentally relational and emotional beings, not rational and calculating individuals as modern Enlightenment theorists thought,” write co-editors Annmarie L. Early and Christian E. Early in the opening pages of the 151-page book. 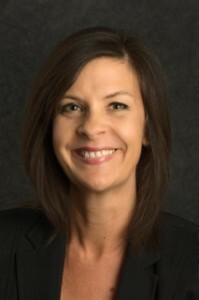 “Now we can begin to understand with theoretical specificity the devastating consequences of disconnection: its influence not only in the makeup of a human being, but also on the large scale of the social tragedies and traumas that plague our world today.” Both editors are professors at EMU – Annmarie of counseling and Christian of philosophy and theology – and both were key players in organizing the 2011 conference. In his foreword, Howard Zehr of EMU’s Center for Justice and Peacebuilding points out that understanding humans to be “fundamentally relational and emotional“– embedded in a web of relationships comprised of love and support, if we’re to be healthy – has large implications for his own field of restorative justice. It confirms that harmful acts usually emerge from (and contribute to) brokenness that needs to be addressed in community-based relationships. 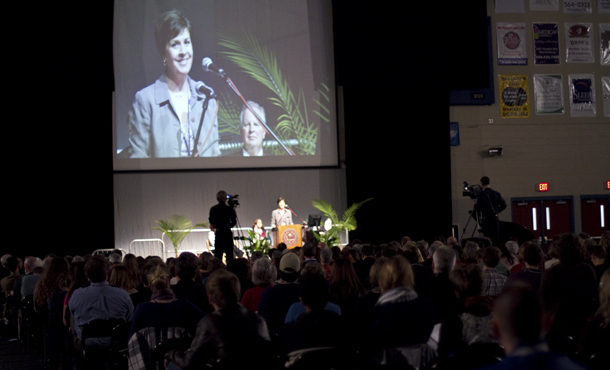 The seven book chapters, based on presentations by the five keynote speakers at the conference – with an additional commentary by Janel Curry, professor of environmental science at Calvin College – basically argue that a critical task for humans is to learn how to form healthy attachments, with each other, with the earth, and with God. The other two keynote speakers were John Paul Lederach, professor of international peacebuilding at the University of Notre Dame, and Nancey Murphy, professor of Christian philosophy at Fuller Theological Seminary. In the first half of the book, Siegel and Coan set forth the findings of researchers in psychology and neuroscience over the last 60 years, which strongly suggest that the human brain functions optimally when a person has supportive relationships with others. Conversely, if a person feels socially rejected, it registers in the same part of the brain (the anterior cingulate cortex) as physical pain does. In her chapter, Johnson elaborates on this theme in regard to marital relationships, where “love” means having an emotional bond with others with whom we form a safe haven from the storms of life. “In your spiritual tradition, Anabaptism,” Johnson told her audience (and repeats in her chapter), “you talk about the need for community and connection. This resonates with attachment theory in psychology. In Integrating the New Science of Love and a Spirituality of Peace, the contributors highlight what it really means to be human, and how understanding this will propel us toward a better tomorrow. They also make the point that insecure, controlling, judgmental and otherwise unhealthy relationships will have the opposite effect. 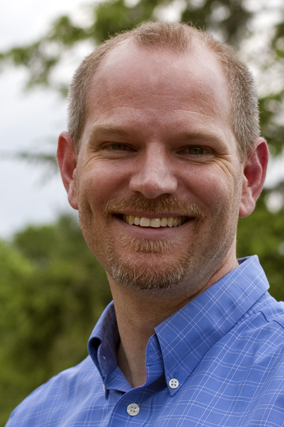 In his five end-of-chapter commentaries and concluding book chapter (co-authored with Annmarie), Christian Early links the new science of love to the kingdom of God as preached by Jesus of Nazareth. “[A]t its deepest, truest, and most basic, the human story is a love story. Attachment theory is really a theory of love; the gospel is really a story of love,” say the editors in their conclusion. Tara Kishbaugh, EMU associate professor of chemistry and former chair of the Shenandoah Anabaptist Science Society (SASS), provided the preface where she explains that SASS received funding from the Metanexus Institute and John Templeton Foundation “to begin a transdisciplinary exploration of attachment theory using an Anabaptist lens,” which led to several speakers in 2009-10 and early 2011, culminating in the 2011 attachment conference. The book can be ordered for $16.40 in print ($9.99 on Kindle) through amazon.com or other online booksellers. Links to podcasts, blogs and downloads of power point presentations from the conference are available here.